Greetings, and happy hump day! This week seems to be flying by for me, and I have a feeling that it's going to feel like it's moving even faster the closer we get to Christmas! I really need to get started on my Christmas shopping. 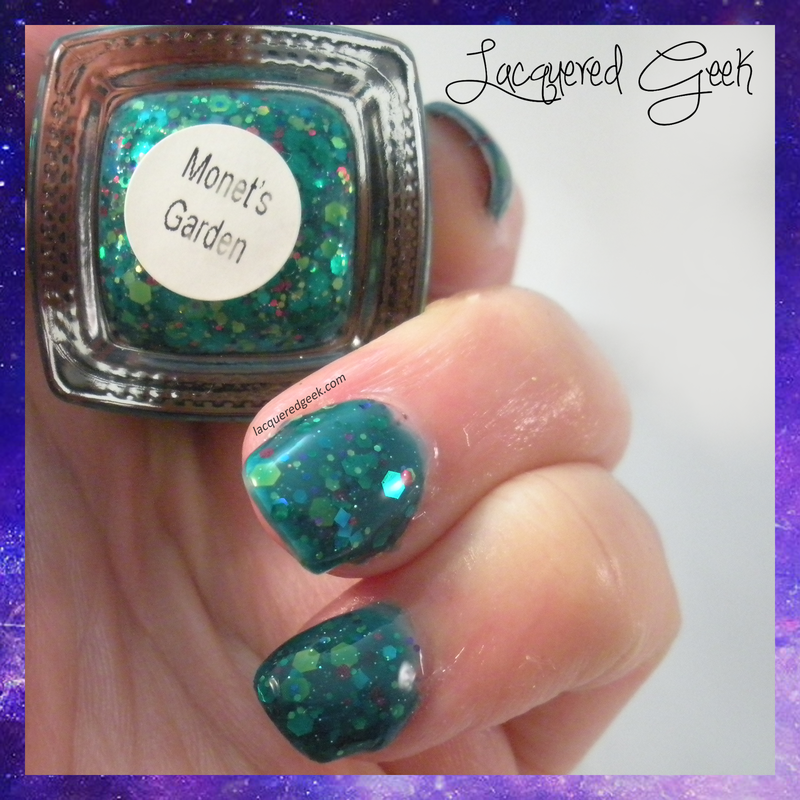 Today, I want to share a breathtaking glitter jelly with you - Monet's Garden by Emily de Molly. Drawing from the palette of colors from Monet's own gardens in Giverny, Monet's Garden is a green jelly packed with green, blue, lime, pink, neon green, and blue glitters. The formula on this polish was wonderful. It was a little thick due to amount of glitter in it, but went on very nicely. I didn't have to fish for any of the glitter; even the larger pieces came out easily. I used 3 coats, plus a topcoat for these photos. You could certainly layer it over undies, but you would miss out on some of the beauty of this polish I think. 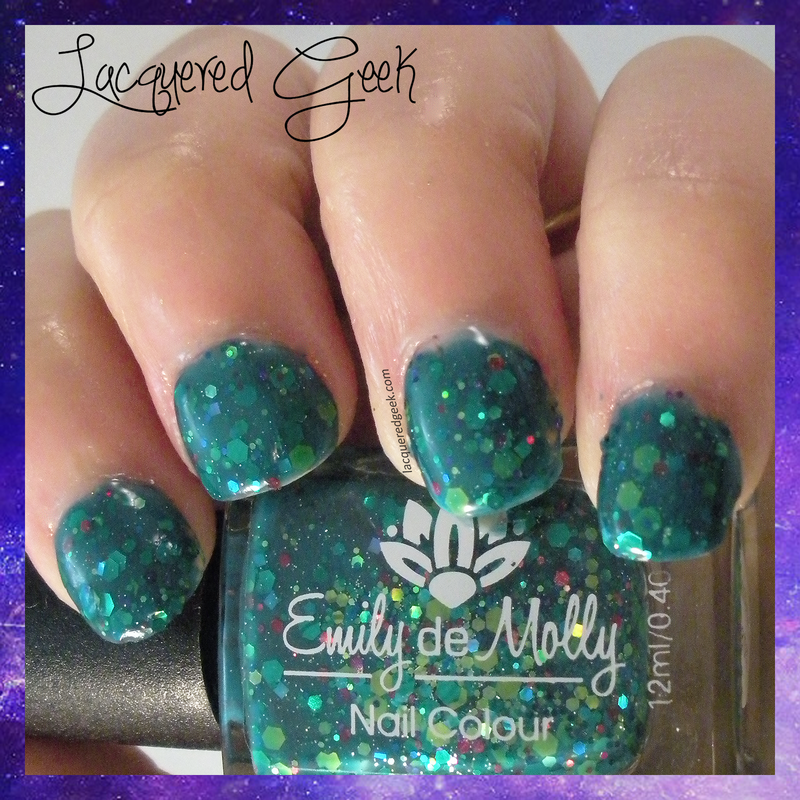 Emily de Molly is an Australian brand, and her shop only sells directly within Australia. Luckily, her polishes are available through a number of stockists, and most of them ship worldwide. 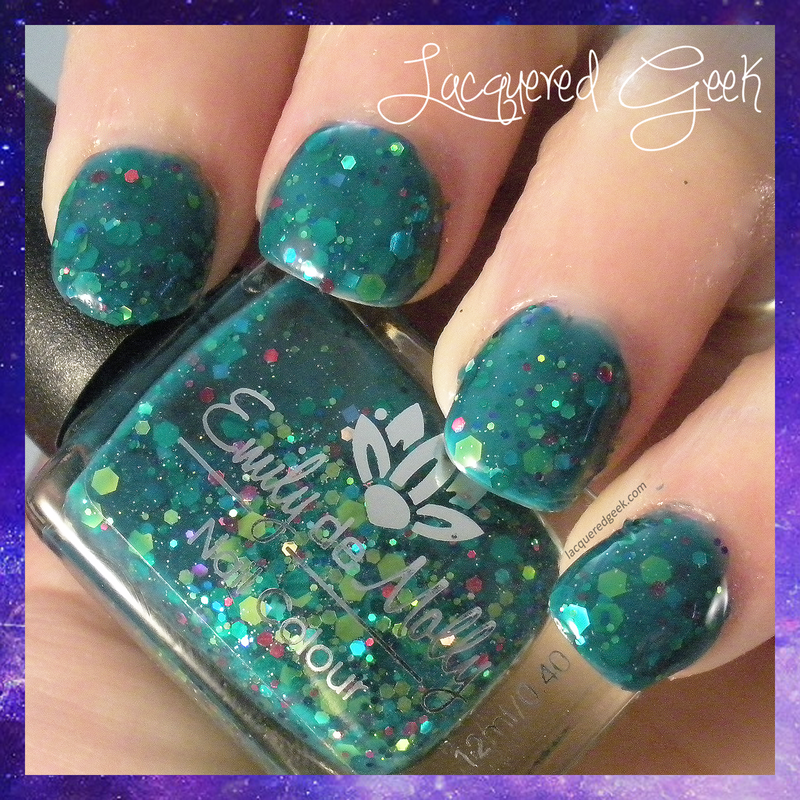 I've personally bought my EdM polishes through Llarowe. 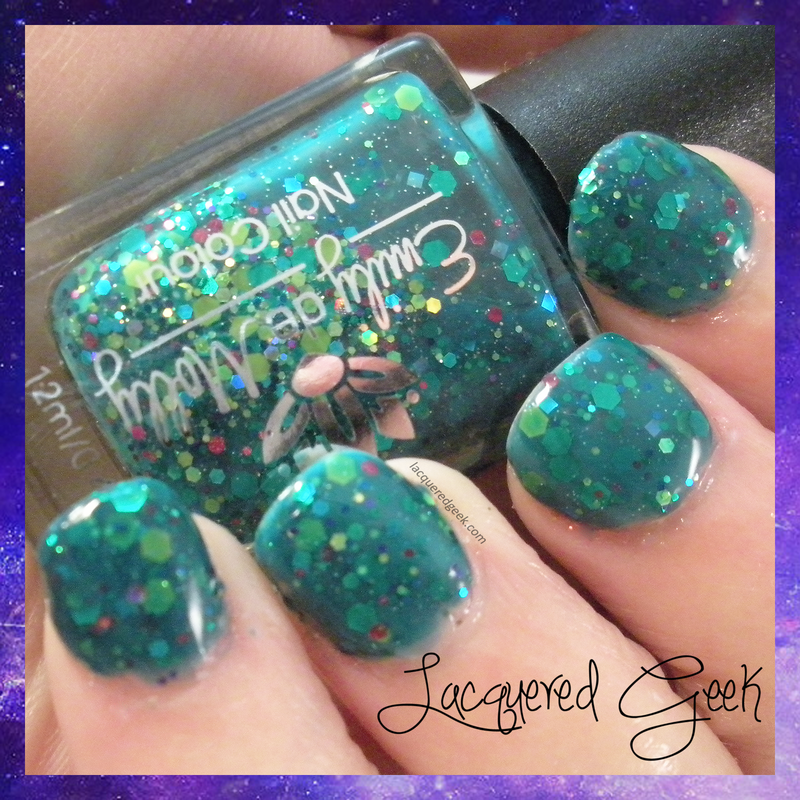 I'm happy to hear that this isn't a polish that you have to "fish" with!! I think it's beautiful on its own and I love that it's a jelly!